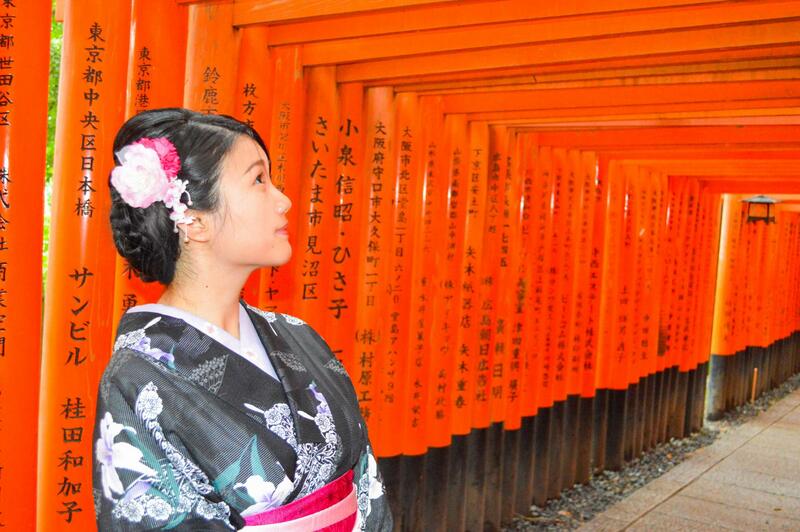 As mentioned in ≪In the Streets of Kyoto Part 2≫, I rented a kimono from Yume Yakata. This was my second or third time trying on a kimono, but my first time actually wearing the kimono out to the streets so it was definitely a special experience. 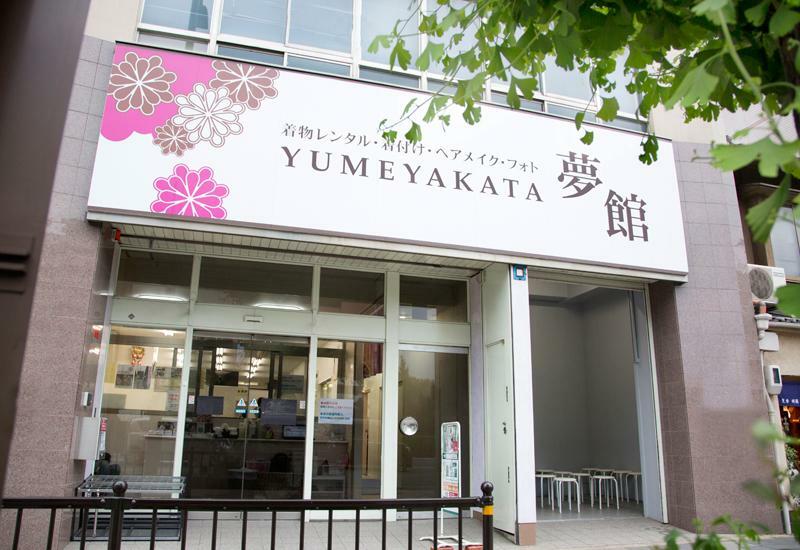 Yume Yakata has three locations. One is their office, a second is dedicated for maiko (geisha) makeovers and photo shoots, and finally a third for all kimono rental services – and this is the one shown in the two photos above. They offer kimono rentals all year round and yukata (a lighter, summer version of the kimono) rentals in the summer. But if you are feeling extra adventurous, they also offer samurai hakama rentals. When you’ve decided what type of kimono you want to rent, you need to fill out their online form and make a reservation. They open at 10:00AM, but if you wish to make an appointment for an earlier time slot, you have to pay an extra fee. ¥1,000 (~$11 CAD) for times between 9:00 to 10:00, ¥2,000 (~$22.45) 8:00-9:00, ¥3,000 (~$34) 7:00-8:00, ¥6,000 (~$67.35) 6:00-7:00, and ¥9,000 (~$101) 5:00-6:00. E-mail them first if you wish to make it in before 9:00AM. In addition to renting the garments, you can pay to get your hair and makeup done as well. And this is obviously for the ladies. Keep in mind, however, that when getting your hair done, hair accessories are not included so you need to buy them separately. 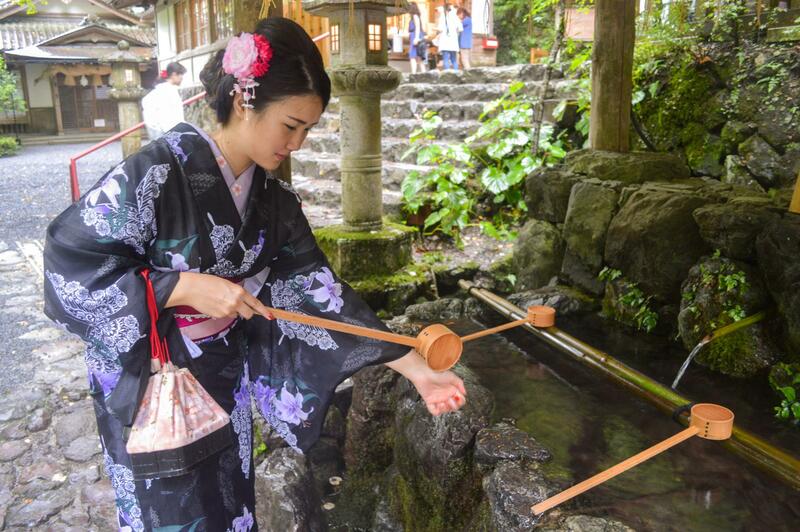 As for the summer time yukata plan, you can also purchase it to keep for yourself. 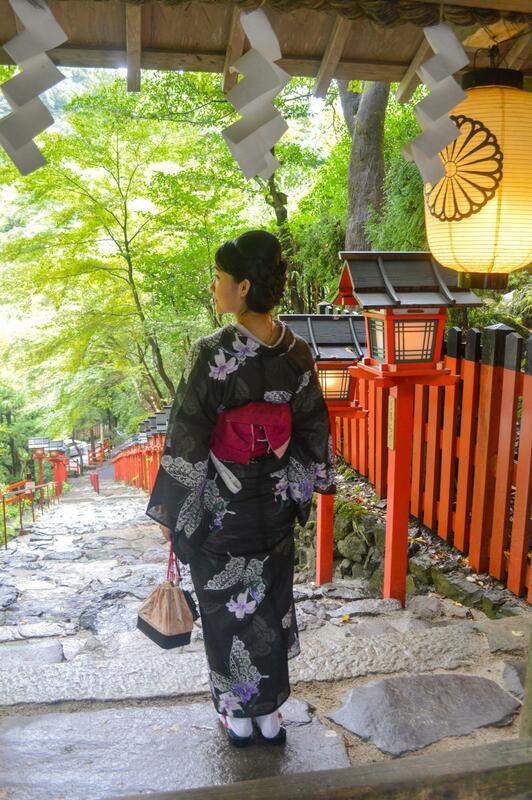 They have an online gallery of the yukatas they have for sale so if you see one that you like, you can request for it. If you are simply making a rental, you unfortunately will not have the choice of picking one that you see on their website. These four were amongst the ones that were on sale during the time I made my reservation back in July. I did make a reservation for a yukata rental and I really liked the bottom right, but I figured I’d want to wait and see what other options were available so I passed it up. When I actually got to Yume, it was sold out and nothing else caught my eye. If you do see something you really like online, make sure to reserve it. On the day of your appointment, arrive on time. Also remember to wear some kind of a tank top and tight shorts if you don’t feel comfortable wearing your underwear alone beneath the garments provided. 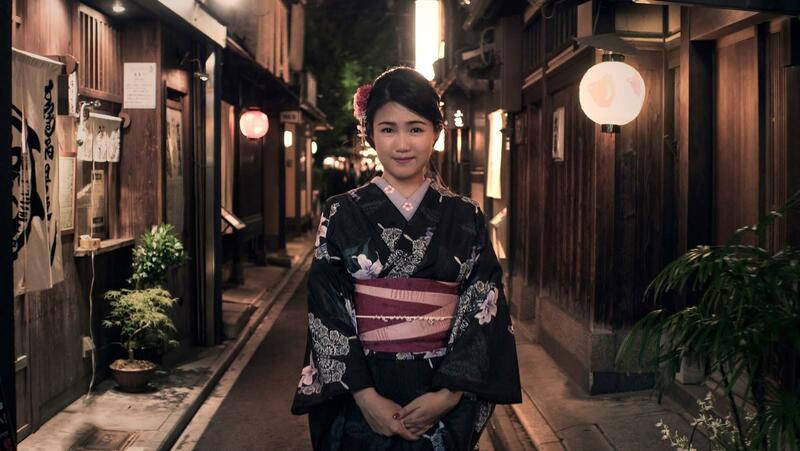 Yume will keep your clothes for you while you frolic the streets in your new Japanese style outfit. When you arrive, you will be greeted by the staff to go over a few simple logistics. Then you follow the arrow signs in the building and head up to the second floor where you choose your kimono of choice. Since the yukata I liked was sold out and I couldn’t pick out any other that would suit me, I rented a kimono instead. And yes, you can change your mind on the day of. This is only if you are switching between what type of kimono to rent though. If you decide last minute you want to get your hair and/or makeup done, you might not necessarily be able to secure an appointment spot right away. 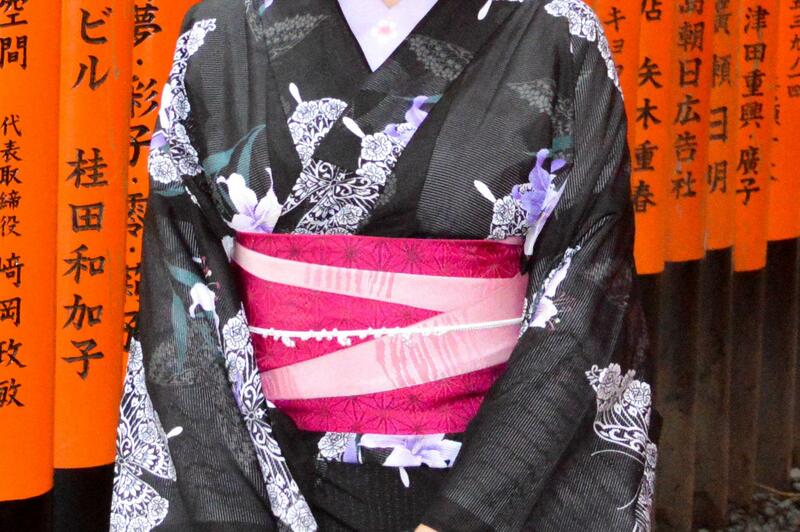 The kimono I’d rented was black with purple lilies. 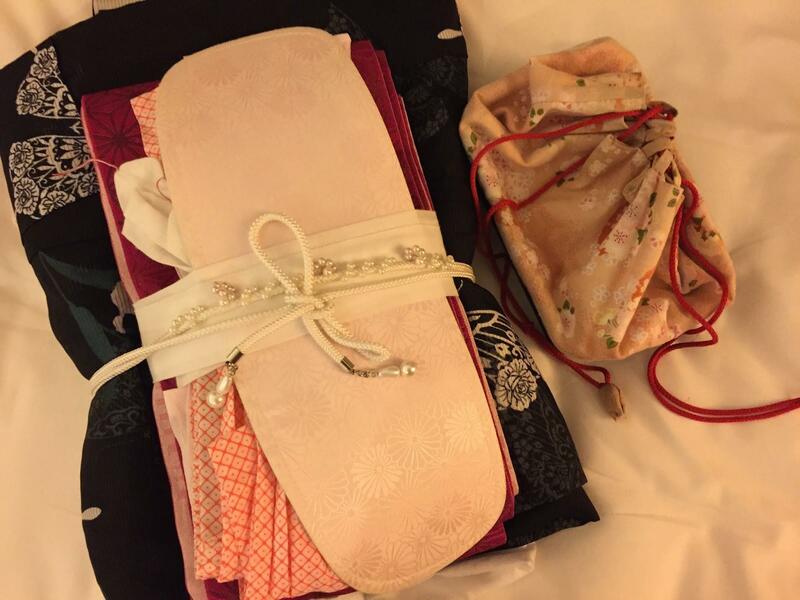 Beneath the kimono, you wear another layer of undergarment. It is completely white, but to have your kimono pop more in photos, they recommend you to go with one that has a colored and/or patterned collar. This of course cost ¥500 (~$6) extra and they were really persuasive and good at sales so I gave in and chose a purple one to go with my purple lilies kimono. Another add-on is the obi band, which is the white pearly string I have wrapped around my obi (the sash/belt around my waist). This was another ¥200 (~$2.25) and these costs are really minute, but there are so many add-on options and when you tally them up… Oh it adds up. 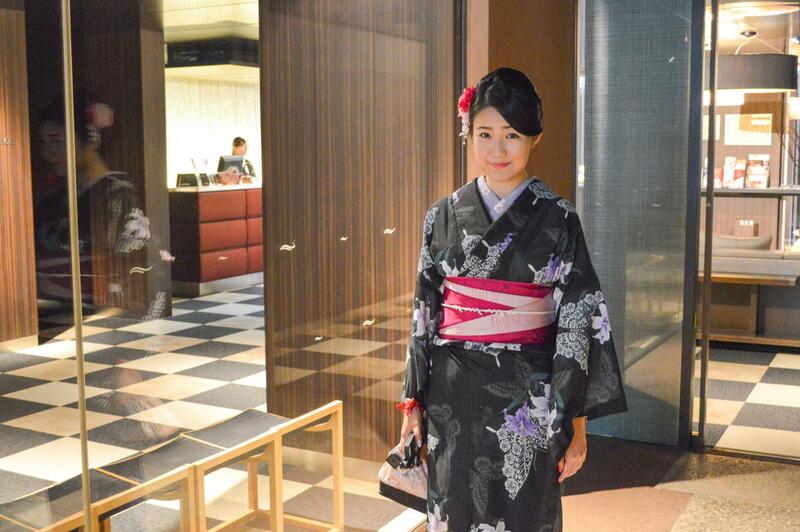 Once you’ve picked out your kimono, head up to the third floor where the staff will help you get dressed. Following that you head to the fourth floor to pick out a bag (the pink one I’m holding in the photos) and this is included in the rental package. My memory is a little hazy, but I believe I got my hair done on the fourth floor as well or it might’ve been the fifth. And like I said earlier, hair accessories are extra and boy are they expensive. A lot of the ones that caught my eye were ¥5,000 (~$56) plus so I opted for the cheapest one and I believe that was about ¥1,500. When you’ve got your game on, come back down to the first floor and pick out a suitable geta (sandals) that’s the right size for you. If you are renting a kimono, you will be gifted with white socks to pair with the geta. Socks and sandals, totally chic. The kimono must be returned on the day of by 7:30PM. 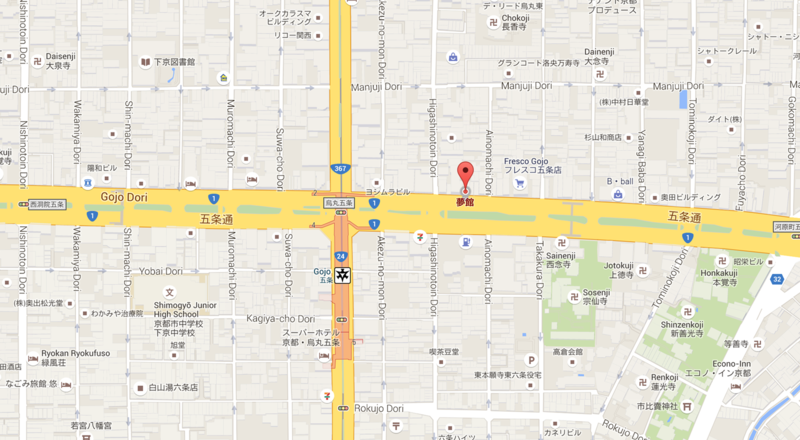 Or you can return it the next day by 5:30PM at the an extra charge of ¥1,000 (without tax). 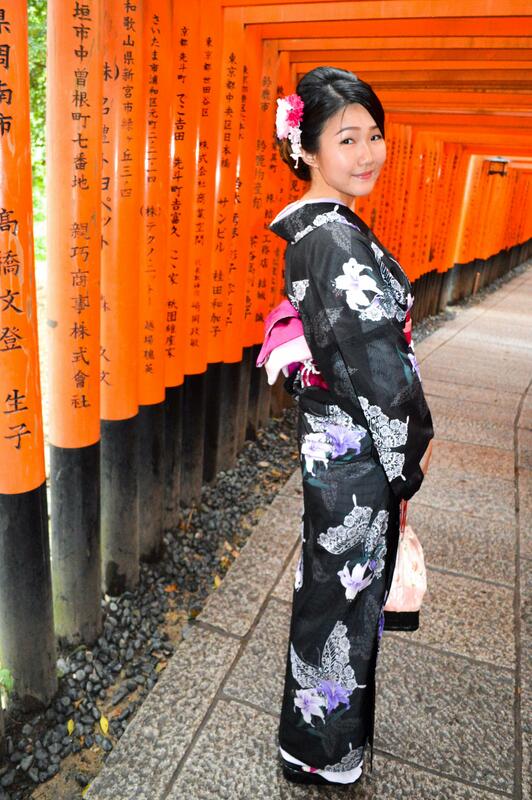 I returned my kimono on the next day and I was lucky because apart from the hair accessory, my dad paid for everything. I paid for my own airfare ticket to Asia and he paid for this, fair enough. That said, I don’t exactly remember the total, but I suspect it to be approximately ¥6,000+. Prices are all listed on their website so you get a rough estimate of how much you’ll be paying. Yes, this was how many layers of clothes I’d put on that day. Another thing you should be careful of is to not wear perfume. 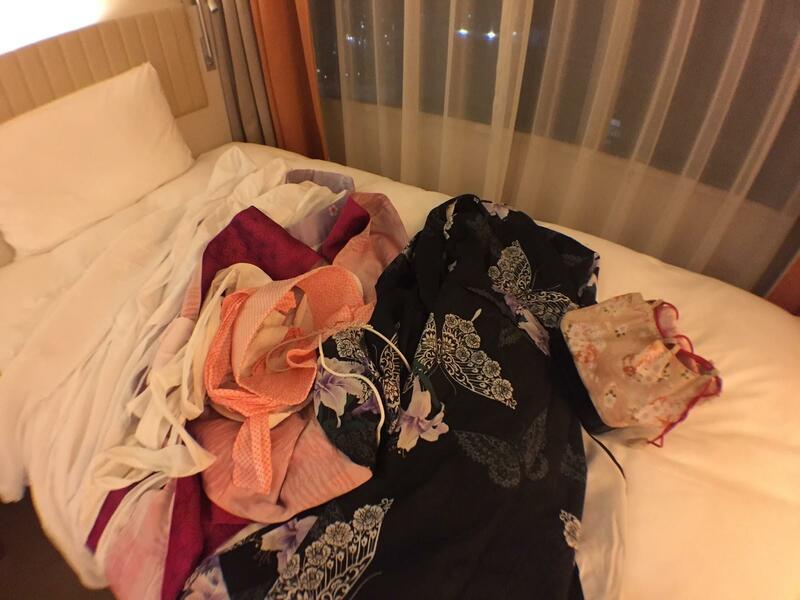 You will be fined ¥5,000 because they need to get the kimono professionally cleaned to remove the smell. Elaborating on that, I guess don’t eat at heavy-smelling restaurants? Don’t go to a BBQ place and have yourself come out smelling like barbecued pork. Yume has an FAQ section on their website and everything is very comprehensive so if you have further questions or doubts, check out their website. I’ll link it ≪here≫ again so you don’t have to scroll all the way up. I got mistaken as a local Japanese quite a few times and was asked to be photographed as well. Apart from being constrained and having to take tiny steps in geta sandals, it was a special experience without a doubt. 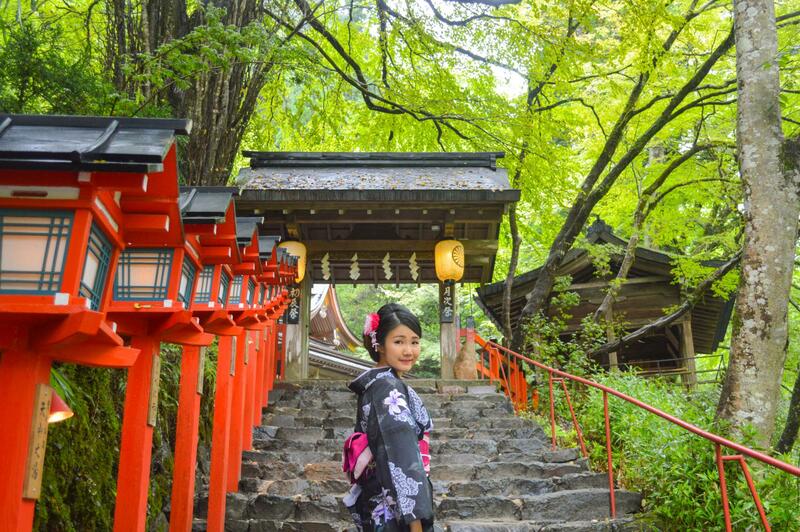 Give it a try if you ever visit Kyoto! Nice review. 🙂 I’ve been looking about Yumeyakata review out of Tripadvisor and found your blog. But I think the hairstyling was expensive compared with another Kimono rental (they charged ¥500 or even free at Chaka Kimono rental). Thanks so much, hope you found this review helpful. I think the hairdo price is reasonable. Although bummer they don’t rent out hair accessories and you need to purchase one yourself.